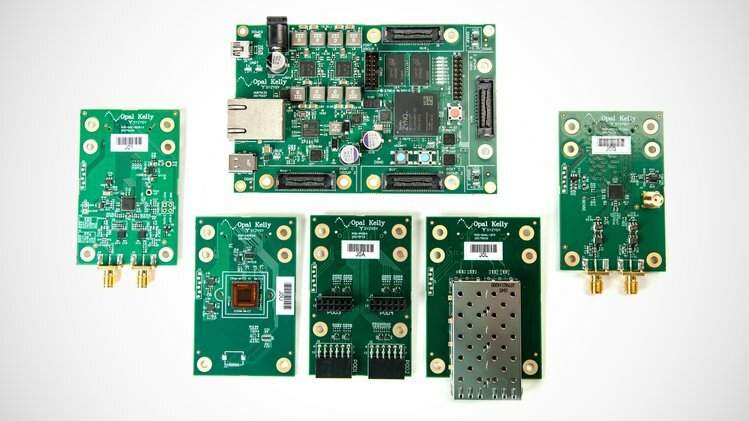 Founded in 2004, Opal Kelly offers a range of powerful, off-the-shelf, USB-based FPGA modules, including the easy-to-use Opal Kelly FrontPanel™ software interface and robust API. Opal Kelly products provide the essential device-to-computer interconnect for efficient and fast product prototyping, testing, development, and OEM integration. Development engineers, researchers, teachers and serious hobbyists worldwide use Opal Kelly modules for an efficient and economical interconnect solution that shortens development time, fills expertise gaps, and dramatically accelerates time to market. The most recent powerful interconnect solution created by Opal Kelly is the SYZYGY Specification.